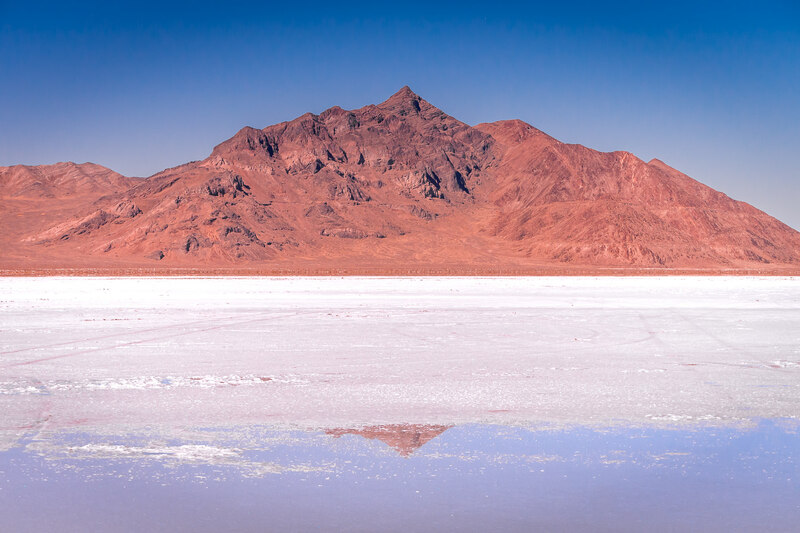 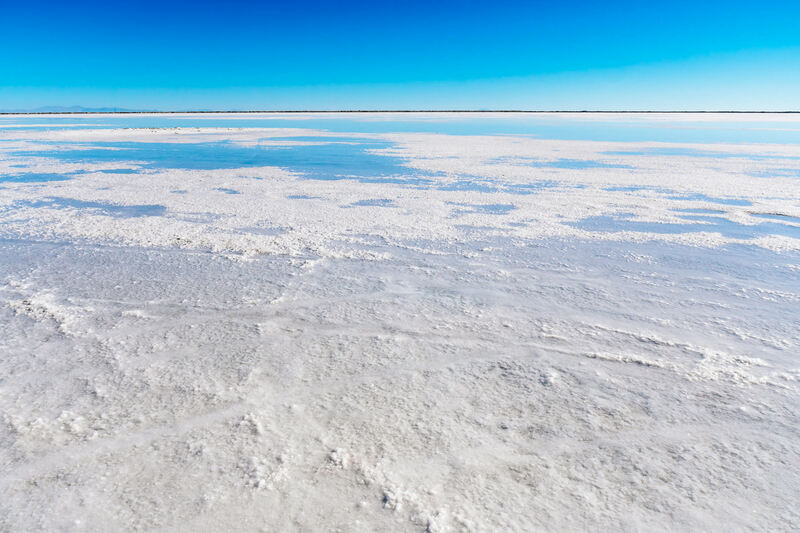 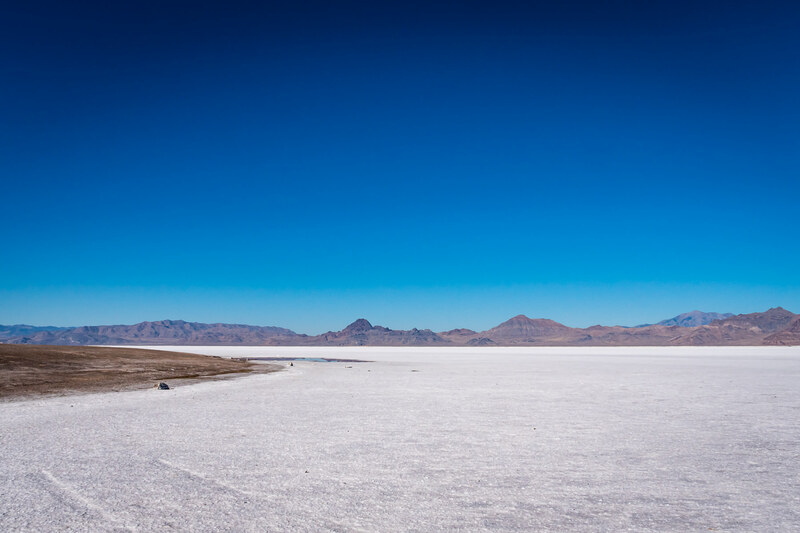 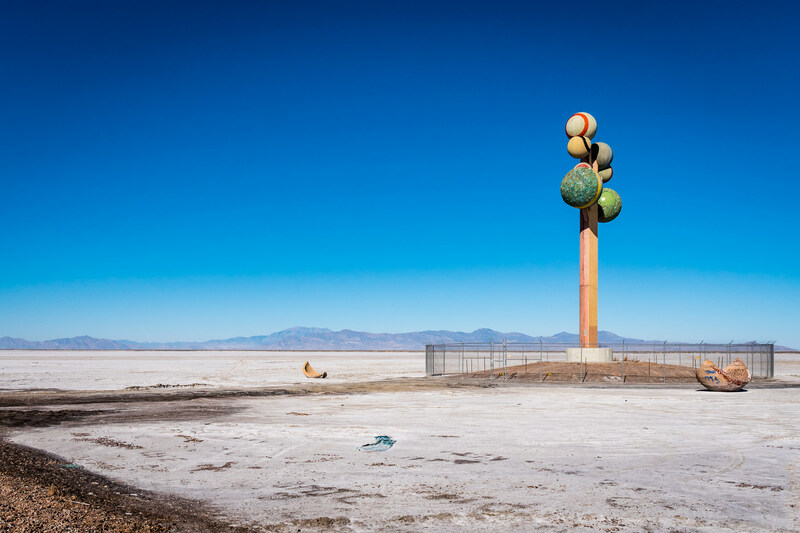 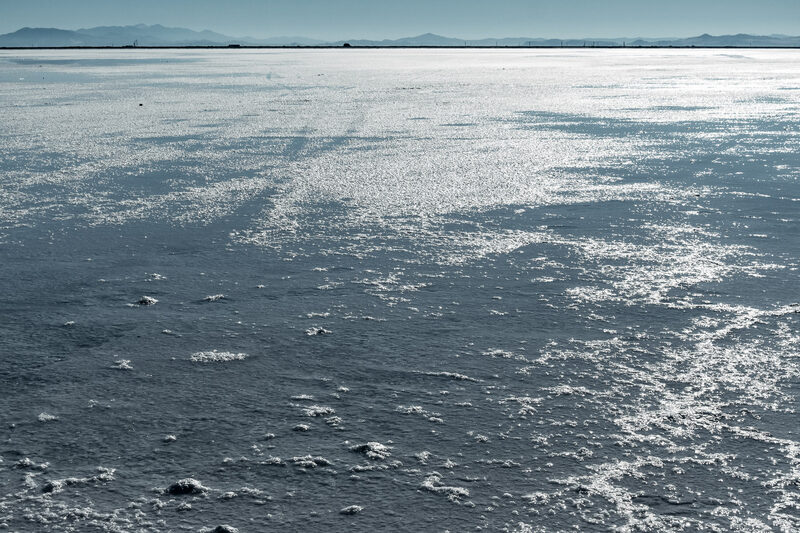 The expanse of Utah’s Bonneville Salt Flats stretches into the distance. 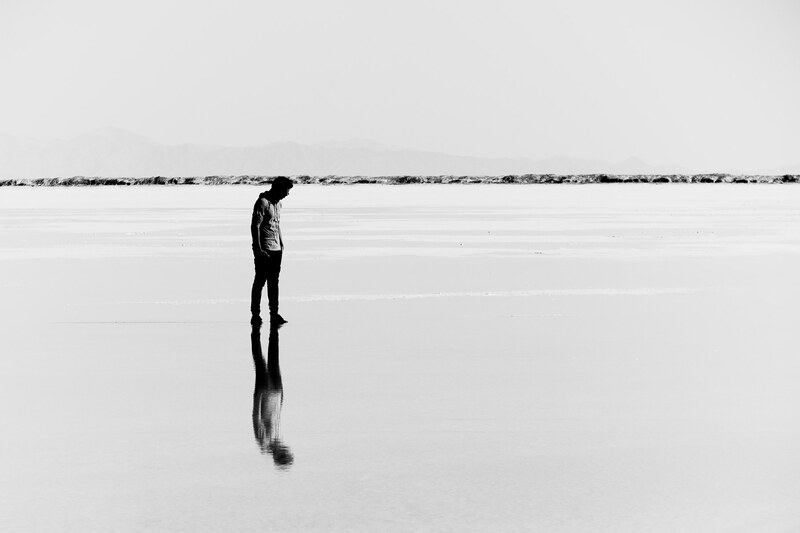 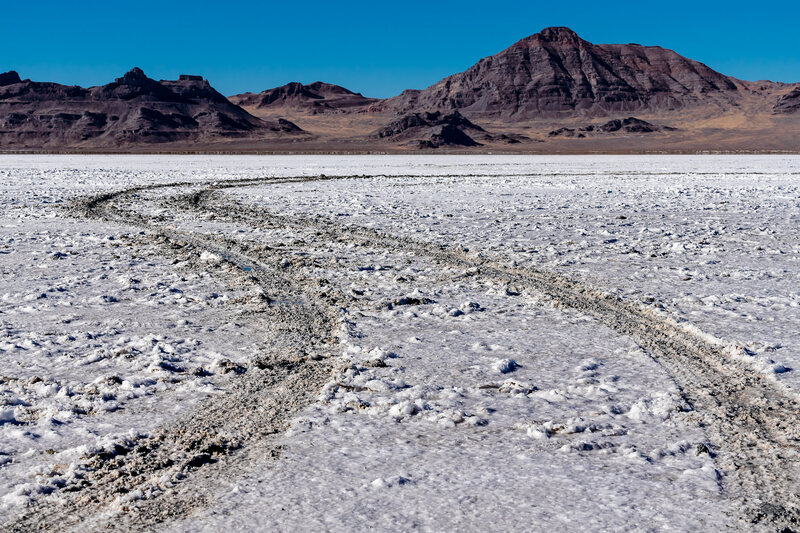 Tire tracks mar the surface of Utah’s Bonneville Salt Flats. 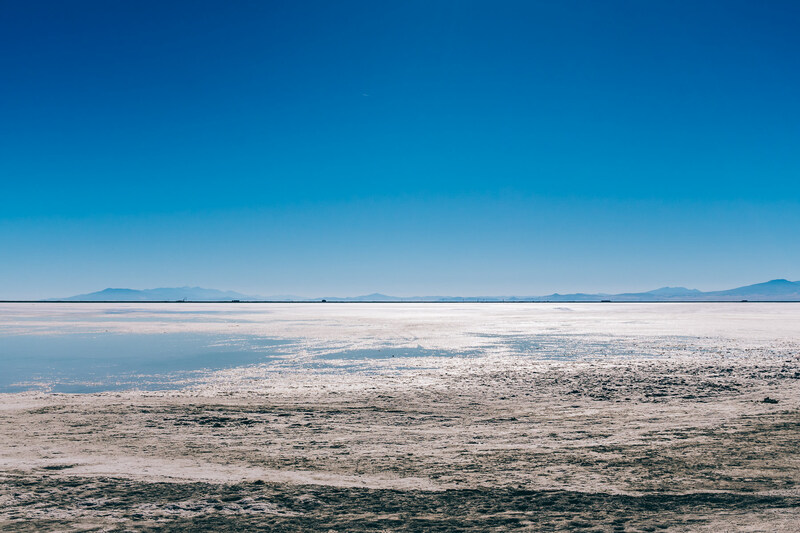 Utah’s Bonneville Salt Flats stretch to the horizon as traffic transits Interstate 80 in the distance. 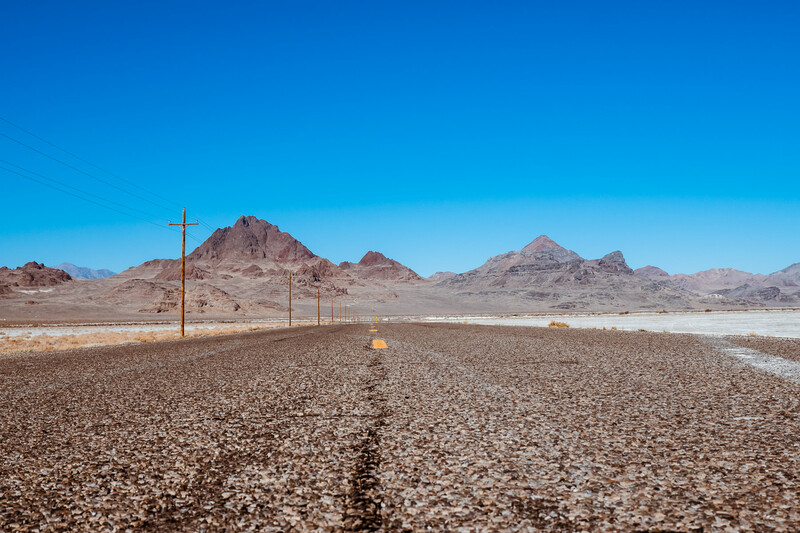 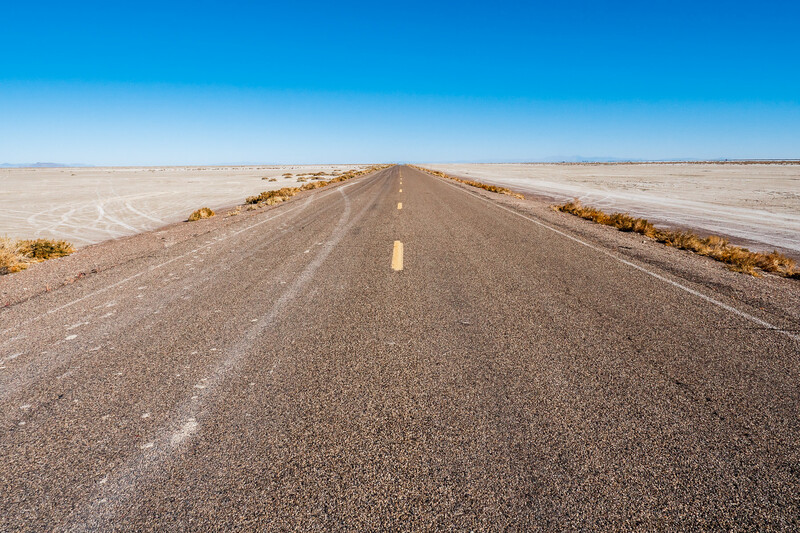 A road leads towards the mountains along the Utah/Nevada border at the Bonneville Salt Flats.